Being a Bee Gees fan has almost been as tough a road, respect-wise, as being an actual Bee Gee. But I’ve been a fan since the first time I heard my older sister’s copy of Idea back in 1968. The single was, “I Gotta Get a Message to You.” On the surface, it’s just another great Beatle-esque melody about a guy trying to get a message to his lover. Listen closer and you realize the ‘guy’ is about to die in the electric chair. What the Bee Gees had in spades over the Beatles besides a nonstop supply of great melodies was … great melancholy. Sad songs say so much, Elton sang, and no one sang them more relentlessly. As a kid who also grew up loving Edgar Allan Poe, their story songs of melancholy in the 60s and early 70s spoke to all my lonely days and lonely nights. 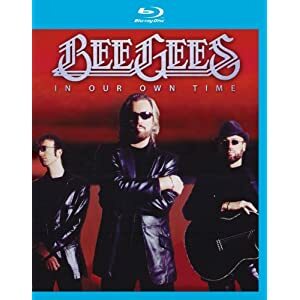 Bee Gees … In Our Own Time is an outstanding documentary just out on Blu-ray that benefits enormously from a narrative told entirely by the brothers themselves. It’s not just the history of a band of brothers (two of them twins), but a chronicle of the evolution of pop music over the past 50 years as interpreted and exquisitely harmonized by these composer/singers. Sure, the Beatles were revolutionary, but doesn’t their story gain legend and gravitas through its brevity? They burned bright for a very short time – less than six years on the national scene. The Bee Gees, on the other hand, were evolutionary. They actually had to endure and adapt growing in and out of favor over and over again by fault of surviving. They had more ups and downs, more deaths and rebirths, more lost and founds by sheer nature of living, playing, composing, and singing together, longer. Much longer. On the five-week ship passage back to England in 1965, while their last single was finally and unexpectedly enjoying its number one status in Australia, they arrived to be told, “Groups are dead.” Good thing they didn’t listen. Six Aston Martins and five Rolls Royces later (for Maurice alone), they went from extreme success at the top of the pops, to total obscurity by the early 70s. And that’s all before disco reinvented them. 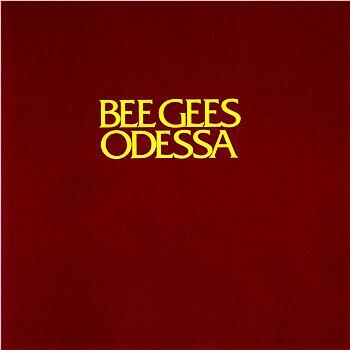 Most people just know the Bee Gees from after older brother Barry discovered his falsetto voice trying to sound like the Stylistics, and married this to an R&B beat that helped launch the Disco revolution and made Saturday Night Fever the second greatest-selling album of all time (only Michael Jackson’s Thriller sold more). Their sound became so popular and so dominate across the airwaves that radio stations inevitably launched ‘Bee Gees free’ weekends in backlash. I could never resist a beautiful melody or a glorious harmony. The Bee Gees produced more than any other group alive or dead. Orchestras could cover them and sound like brilliant long lost classical works. R&B artists could cover them (Nina Simon, Al Green, Richie Havens, Percy Sledge) and sound like soul classics. And through all the accolades and acrimony; the embrace and the rejection; the top tens and the nowhere to be found; they never became cynical. They never stopped being musicians having a blast in the studio loving making music and blending their voices as only psychically-connected siblings could do. I am so proud to claim a lifetime of reveling in their sense of melody … and melancholy. Ain’t that the truth … for America these days? Everyone’s ranting, and no one listens anymore; it’s just all noise tuned out in favor of the broken tape loops echoing around and around again in our own minds. No one listens anymore. Everyone has a loud opinion. And the balance of power in our times is who, by virtue of some glint of power or authority, you HAVE to listen to. Because otherwise you just wouldn’t. Sad. 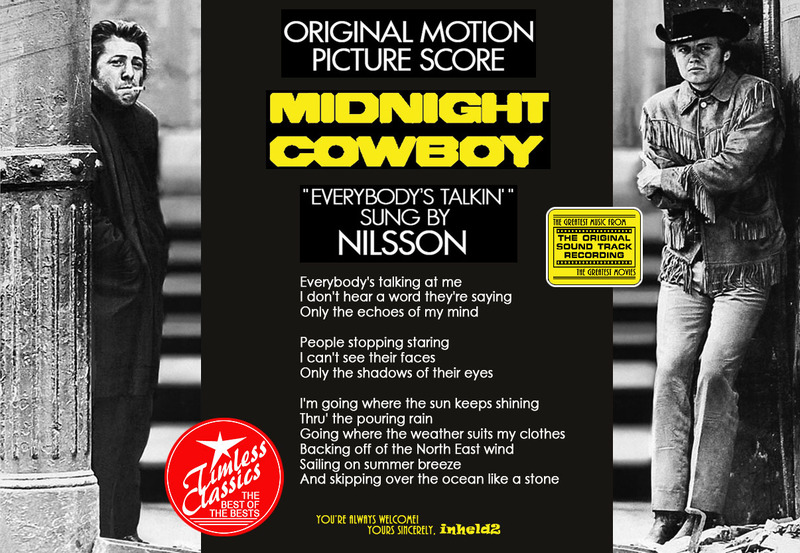 But not as sad as the story of Harry Nilsson; best mate of forehead tampon hanger John Lennon and Ringo Starr, possessor of one of the most angelic male voices of the last few decades, and self-destructive burnout deceased at 53.
Who is Harry Nilsson (and Why is Everybody Talkin’ About Him?) is a documentary that ran the festival circuit and is finally available on DVD. It’s not great because of innovative editing or directing. It”s awesome by virtue of the subject. The DVD has more than 15 additional scenes left off the documentary that are as good as anything ON the documentary. That’s how you know the subject exceeds the creative powers of the people trying to interpret it. Just lay it all out there and let everyone put their own cumulative story together from the pieces. It’s a simple story: Kid born in Brooklyn, tragically loses dad early, leaves home at 15, heads West, finds fame and fortune, but can’t escape that missing pillar of early self-esteem, and collapses to oblivion. But, oh God, what a magical voice. There’s a lot of talk, from famed producer Richard Perry, Monkee Mickey Dolenz, Yoko Ono, Jimmy Webb, Van Dyke Parks, the Smothers Brothers, and other music luminaries about what a great and melodic songwriter he was. 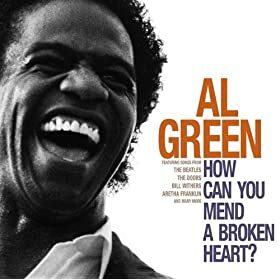 But let’s face it, the two greatest songs he’s known for; “Everybody’s Talkin’” from the movie Midnight Cowboy, and that haunting anthem, “Without You,” were both written by other songwriters. No matter. Celebrate the intricate delicate precise crystal clear powerful gentle miracle that is his voice. It’s a crying shame all the tower of Babel ranters who have overtaken our society, cyberspace and airwaves don’t have such a voice. Otherwise we might be more inclined to listen. You are currently browsing the Hollywoodaholic blog archives for November, 2010.